On November 5, 2017 at 5:17 p.m., Galloway Township Police responded to a motor vehicle collision at the intersection of Pitney and Jimmie Leeds Road. 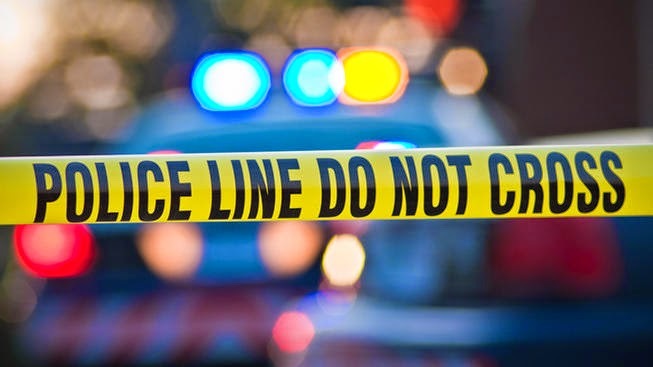 According to Police, officers from The Galloway Township Police Department were investigating a minor motor vehicle accident in the parking lot of Shoprite, when they heard several loud bangs coming from the intersection of Pitney Road and E. Jim Leeds Road. Upon their response to the intersection of Pitney Road and East Jim Leeds Road, they discovered a motor vehicle accident involving two vehicles. Patrol’s investigation reveals that Brooke Rollman, 36 years old of Galloway Township, was operating a 2011 Jeep Grand Cherokee and traveling southbound on Pitney Road. As Brooke Rollman approached the intersection with East Jim Leeds Road, she struck the rear of a 2006 Mercedes Benz 350 operated by Beverly Fineran, 55 years old of Galloway Township. At the time of the collision, Beverly Fineran was stopped for a red traffic signal on Pitney Road with the intersection with E. Jim Leeds Road. As Beverly’s vehicle was struck it traveled across the intersection and came to rest off the south side of the roadway and onto the sidewalk. After striking the Mercedes, Brooke Rollman’s vehicle deflected into a traffic signal knocking it to the ground. As a result of the accident, both vehicles were towed from the scene. Beverly Fineran received several injuries and was transported to The Atlanticare Regional Medical Center City Division for treatment by The Galloway Township Ambulance Squad. Traffic in the area was delayed for approximately one hour while the accident was investigated. Brooke Rollman was arrested at the scene for driving while intoxicated, assault by auto, and numerous motor vehicle violations. Rollman was processed and released on her charges pending a future court date. This case is currently being investigated by Officer Jeremy Feliciano and Officer Patrick Neal of The Galloway Township Police Department Traffic Safety Unit.